Located off Front Street, the Highland Park Subdivision is a single-family home development in Smyrna TN (Rutherford County). Popular streets in Highland Park Subdivision include Popular streets in Branch Trail, Eastland Drive, Hicks Road, Highland Avenue and Noel Lane. 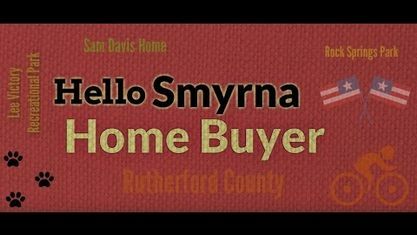 Other Smyrna Subdivisions near Highland Park Subdivision include C E Beatey Subdivision, Cedar Forest Subdivision, Chaney Woods Subdivision, Crosslin Homes Subdivision, Fannie Jarratts First Subdivision, Fort Hill Heights Subdivision, Green Acres Subdivision, Hartwood Subdivision, Hickory Trace Subdivision, Jesse James Smith Subdivision, Johns And Coleman Subdivision, Jones Mill Subdivision, Maplewood Subdivision, Mason Tucker Subdivision, McGwynn Spring Subdivision, Meadow Brooke Subdivision, Mooreland Subdivision, Preserve at Stewart Creek, Rosemont Subdivision, Sam Davis Heights Subdivision, Sand Stone Forest Subdivision, Green Acres Subdivision, St Johns Wood Subdivision, The Meadows Subdivision, Valley Of The Spring Subdivision, Village Green Subdivision, West Meade Subdivision and Woodmont Subdivision.